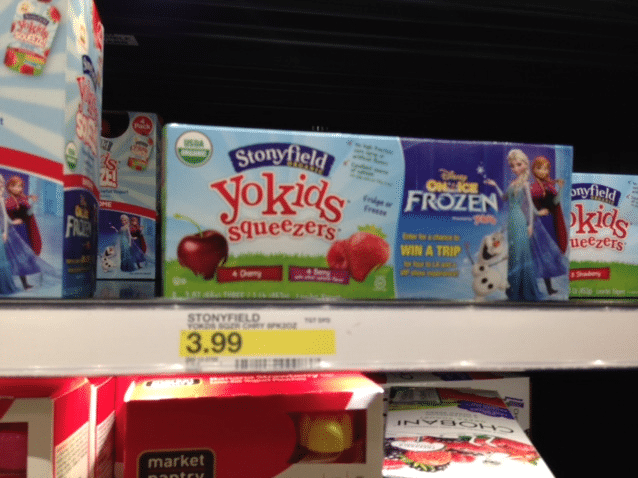 Head to Target this week for a hot deal on Stonyfield organic kids yogurt! $1.64 after coupons and rebate! The Stonyfield YoKids products may vary at each store (some have yogurt cups, pouches, etc), but you can use the coupons and rebate on any of them. PreviousPrevious post:YumEarth Organic Lollipops as low as $4.76 for 50NextNext post:Allerease Organic Cotton Covered Queen Pillow $8.25 on Amazon- I own and love!